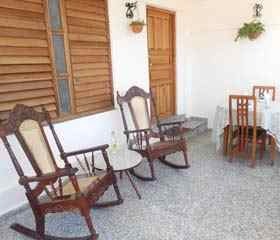 Pocala House is located 200 meters from Jose Marti Park in the Historic Center of the Cienfuegos city, Cultural Heritage of Humanity. It also has two nearby boulevards where the main attractions of the city are found. From Hostal Pocala you can visit the Tomas Terry Theater National Monument built in 1890, the Cathedral of Our Lady of the Purisima Concepcion, the City Center of Cienfuegos, the Government Palace and the Triumph Arc. 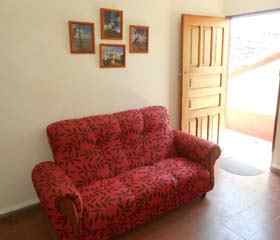 In Pocala House you will find 2 spacious and cozy totally independent apartments: Apartment No. 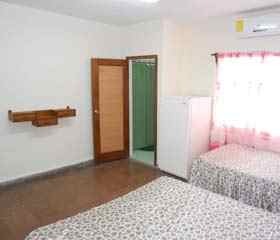 1: The first apartment is on the ground floor, it has living room, kitchen, dining room, triple room with private bathroom inside the room, has double and single bed, air conditioning and hot and cold water. Apartment No. 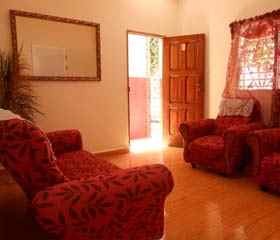 2: The second apartment is on the second floor, it has living room, kitchen, dining room, triple room with private bathroom inside the room, has double and single bed, Split and hot and cold water. We offer a personalized service, we are attentive to every detail and willing to offer the best of us, we will guide you to the best tourist places and sites of historical and cultural interest of the city, to guarantee an unforgettable stay. 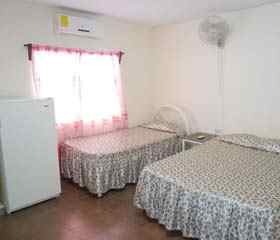 We offer laundry service, cocktail, massage, excursions, taxi, guide service in English and Italian and Spanish language classes. A 200 metros de nuestra casa se encuentra el Parque José Martí en el Centro Histórico de la ciudad de Cienfuegos, Patrimonio Cultural de la Humanidad, desde el mismo puede visitar los principales lugares de interés histórico-cultural de la Perla del Sur. A 500 metros se encuentra el Paseo del Prado, el más largo y hermoso de toda Cuba, el mismo se encuentra rodeado de lugares históricos, culturales, de interés turísticos y de excelentes restaurantes. 200 meters from our house is Jose Marti Park in the Historic Center of the city of Cienfuegos, Cultural Heritage of Humanity, from the same you can visit the main historical and cultural attractions of the South Pearl. At 500 meters you will find Paseo del Prado, the longest and most beautiful of all of Cuba. 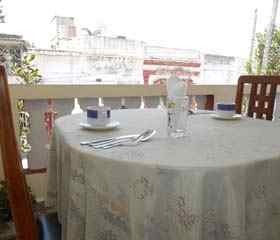 It is surrounded by historical, cultural, tourist attractions and excellent restaurants.